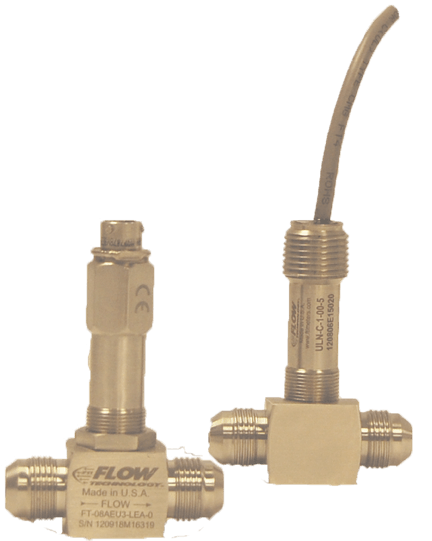 For on board flow measurements, product performance, size and reliability are critical. Flow Technology has supplied on board solutions for many applications ranging from flight test to production OEM for military and civilian applications. Applications include all types of aircraft, missles, target drones, torpedos, space shuttle, unmanned aerial vehicles (UAV), and unmanned aerial combat vehicles (UCAV). Measurements include fuel for main engines and APU, hydraulic system monitoring, avionics cooling system monitoring, lubrication system monitoring and environmental system monitoring. Data is used for control system feedback, leak detection and predictive maintenance trending. When weight is a factor, the compact characteristics of a turbine are beneficial. High dynamic response offers near real time feedback and high resolutions allow the sensors to be used for detecting system leaks. When reliability is critical, advanced bearing technology can be utilized to achieve extended service life. Contact us to discuss your on board application. 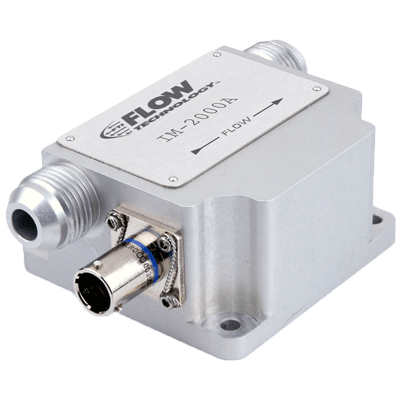 Custom integrated turbine flow sensor with advaced signal processing electronics housed in a light weight aluminum enclosure. Custom solution for an un-manned application where fuel measurement data is critical to mission success. FTI’s microLinK pickoff may be the world’s most compact temperature, viscosity & density compensated linearized CANbus pickoff. At only 65 grams, it provides ideal packaging for on board and test application where size and weight are critical. It also eliminates the need for additional amplification or electronics.